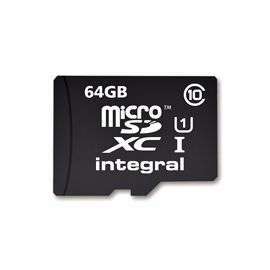 Various sized Integral and SanDisk micro and standard SD cards in reduced section in store in my local Wilkinsons. 64gb and 32gb cards £5 each, 16gb cards £2 each. Also some Integral 16gb flash USB drives £2 each. Yes, bought a few. Plus a SanDisk dual USB drive OTG 64gb for £5. Extra storage for my phone. I saw the 64GB in the £5 pile but they scanned at £10, so I didn't bother. Let the great 2017 Wilkinson Micro SD card store hunt begin! Heat added. Yep, I'll definitely be wearing my favourite shirt if I find one! Don't worry I'm sure you'll be getting a lot better performance. I've used these low cost class 10 cards and there's no comparison to the Samsung Evo card speeds, or reliability. And do a somersault on your head, wa! Will take a look but not holding out much hope. Nothing at all in Halesowen. 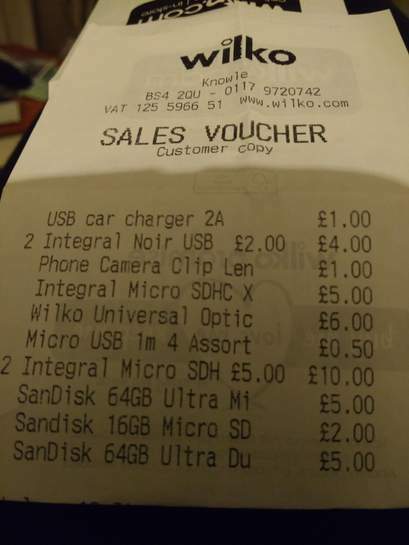 Went to 2 local wilko stores, and noticed that in each store, those items in the reduced to clear section were both different per-store, and had discounts at different rates. And of course no memory sticks or SD cards in either store. 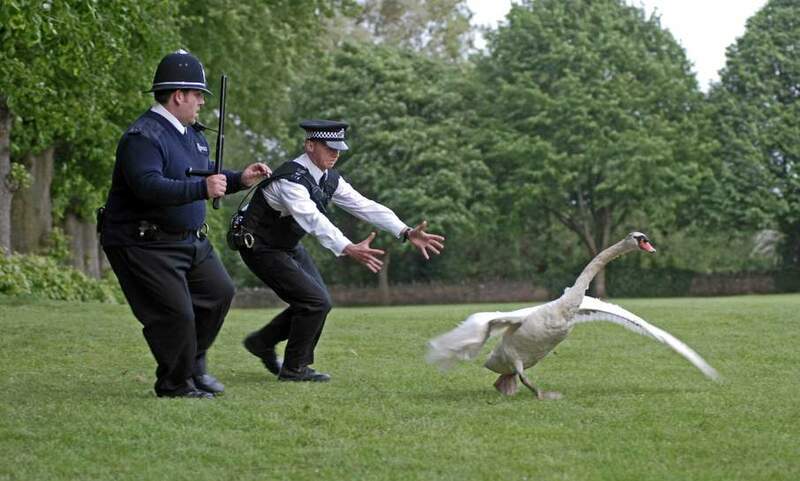 This is probably something set at the discretion of the local branch manager. It is unlikely at best that 2 different branch managers, who we can assume don't talk to each other on a daily basis, will put up the same discounts there, on the same exact products, on the same day. No discount what-so-ever at my local Wilkos. Went to my local, full price £30 and I also asked. Pretty sure this is very store specific. Fought through the snow and everything! Went to my local, full price £30 and I also asked. Pretty sure this is …Went to my local, full price £30 and I also asked. Pretty sure this is very store specific. Fought through the snow and everything! All normal price in my local Dudley store. Full price in my local store (Newcastle Killingworth).